BERLIN: Organisers of the Berlin International Film Festival on Wednesday declined a call to have movie stars walk a black, rather than red, carpet as a symbol of support for the campaign against sexual harassment in the industry. 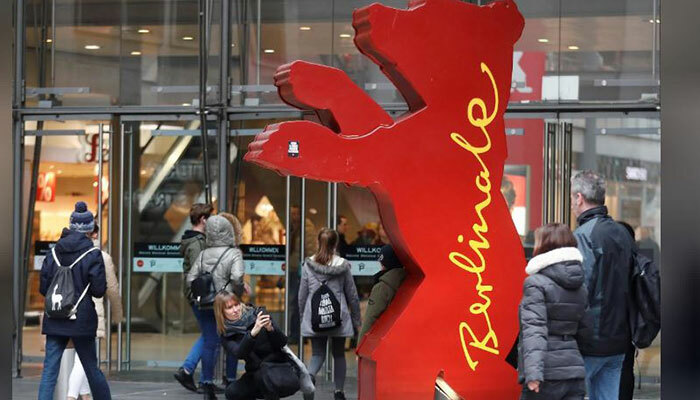 After January’s Golden Globes ceremony where people wore black on the red carpet to express solidarity with the movement, more than 21,000 people signed a petition calling for the carpet itself to change color at this year’s “Berlinale”. But one day before the festival opened, its director, Dieter Kosslick, said he understood the reasons for the campaign but had decided against “symbolic politics” and wanted to instead focus on events discussing sexual harassment. “We’d like to use our activities to dive deeper into the #MeToo debate than a carpet would allow, so we don’t plan to put a black carpet down at the Berlinale,” Kosslick said. The festival had already announced a panel discussion on sexual harassment, a counseling corner and a seminar that will encourage women who have suffered harassment to speak up and seek ways to boost equality in the film industry. Kosslick said some films were cut from the program due to sexual abuse allegations against people involved but he has declined to name them. Around 400 films will be screened at the 68th Berlinale which opens with U.S. director Wes Anderson’s “Isle of Dogs”, an animated tale of a boy searching for his pet at a garbage dump where a fictional city has exiled all of its dogs. Bill Murray, Tilda Swinton and Oscar nominee Greta Gerwig, who voice characters in the film, are due to appear at the festival that some fans say is otherwise lacking in star power. “This year I don’t think there’s as many real highlights,” said Scott Roxborough of The Hollywood Reporter. The festival, renowned for films with strong political agendas, includes “Khook” (“Pig”), an Iranian film about a blacklisted director and “U-July 22” about the 2011 massacre of young people on a Norwegian island by Anders Behring Breivik. Other films in contention include a Western comedy called “Damsel” featuring Robert Pattinson, “Transit,” a German film about a man fleeing Nazi-occupied France, and “Dovlatov,” a portrait of the Russian writer Sergei Dovlatov. Tom Tykwer, a German director best known for his 1998 film “Run Lola Run”, heads the jury that will decide which of the 19 movies in competition wins the Golden Bear for best film and who gets Silver Bears for acting and directing. The festival in the German capital runs until Feb. 25. The world is getting sick and tired of "activists" and their stupid ideas.